Pinnacle Black Label Hide-Soft Leather Conditioner 32 oz. Home > Shop By Brand > Pinnacle Black Label Collection > Pinnacle Black Label Hide-Soft Leather Conditioner > Pinnacle Black Label Hide-Soft Leather Conditioner 32 oz. When was the last time you conditioned your seats, and we mean really conditioned them? Inexpensive leather conditioners and over-the-counter interior protectants don’t count, as they actually cause more harm than good. Petroleum, silicones, and gloss agents are all a big no-no for leather, especially if you’re driving a luxury car. You see, the problem with these inexpensive leather conditioners is that corners are cut in order to meet a certain price point, and we all know that your leather deserves better than that. As with all products that bear the Black Label name, cost was not a consideration during the formulation of Hide-Soft Leather Conditioner. Sharing another trait with its family of products, Hide-Soft Leather Conditioner is extremely concentrated, so it doesn't take much to give your interior the full treatment. Formulated with mink oil and lanolin to feed leather the essential oils it needs to remain soft and supple. Conditions leather without making it greasy or shiny. Some of us are fortunate enough to have leather seats in the vehicles we own. 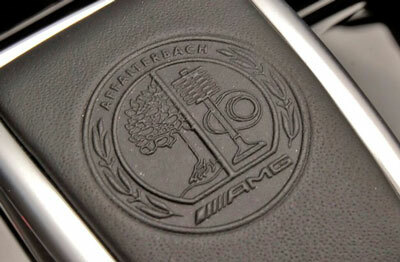 And a lot of vehicles have leather on the dash and door panels, complemented by beautifully stitched seams. As any smart buyer would, we all look at the options listed on every vehicle we purchase, so we're well aware of the additional expense that accompanies luxury items, like the aforementioned cut and sewn leather upholstery in certain, say, Mercedes models. Being the car care connoisseurs that we are, it’s imperative that our vehicles only receive the best, and in the case of leather upholstery, the best is Hide-Soft Leather Conditioner. Not all leather conditioners are created equal, and Black Label Hide-Soft Leather Conditioner is proof. We made it clear to the chief chemist that we didn’t want any silicones, petroleum, or gloss agents in Hide-Soft Leather Conditioner. Instead, we wanted a leather conditioner that featured the world’s finest ingredients packed into a concentrated formula that wouldn’t require gobs of product each time I conditioned a luxury interior's leather. These requests – or demands as my chemists would call them – resulted in Hide-Soft Leather Conditioner. Black Label Hide-Soft Leather Conditioner is rich in mink oil and lanolin, two key ingredients that help keep leather soft and supple. These complex, expensive ingredients absorb into the leather’s pores after a deep cleaning with my other favorite leather care product – Black Label Hide-Soft Leather Cleaner. This results in leather that is soft, supple, flexible, and well protected. In the same way that your freshly wax paint begs to be touched (like it or not! ), your leather surfaces will draw attention after being treated with Hide-Soft Leather Conditioner, too. Here’s another leather maintenance tip: don’t forget the stitching! Inexpensive, petroleum-based leather conditioners make it clear to AVOID the stitching while applying their product. That’s not the case with Black Label Leather Conditioner. We had this leather conditioner formulated so it actually protects the stitching; it will not cause it to dry out or deteriorate. This thick crème provides the best protection possible in a leather conditioner. Use Black Label Hide-Soft Leather Conditioner on protected, coated, and semi-aniline leather surfaces. 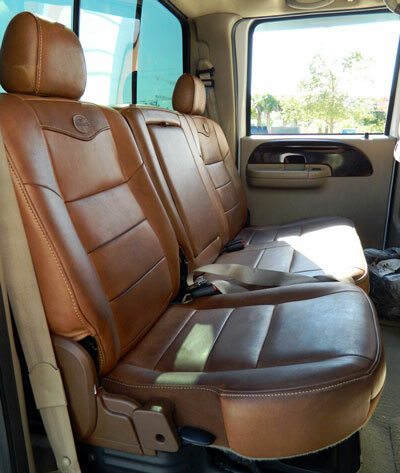 Hide-Soft Leather Conditioner is also safe on late model Ford trucks with King Ranch leather! The UV protection provided by Hide-Soft Leather Conditioner prevents premature fading and discoloration. Hide-Soft Leather Conditioner is the best investment you can make in interior care! Clean surface first using Black Label Hide-Soft Leather Cleaner. Apply directly onto terrycloth or microfiber applicator and thoroughly massage into surface. Remove excess conditioner with a soft microfiber or terrycloth towel. Repeat for old, neglected leather. I purchased the large bottle of the Pinnacle Black Label Conditioner when Autogeek was offering their best sale price to soften the hit. I wanted something better than the Lexol conditioner I've been using and went all the way to the Black Label version. I recently applied it to my upholstery, it went on very easy. It initially left a soft glow but dried to a dull non-glossy finish. It also left a nice leather like aroma in the car. It seems like an improvement over the Lexol product. I hope the ad hype about the chemistry is correct. ProsIt left a non-glossy finish and a nice leather like aroma. I like the smell. It seems to condition the leather very well and lasts quite a while.